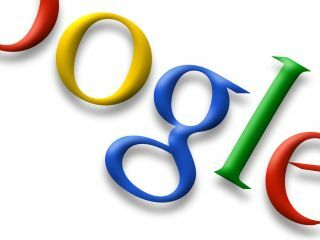 Google's Q1 2011 earnings narrowly missed the expectations of Wall Street in the company's latest financial report. Revenue was up to $6.6bn for the quarter, rising from $5bn over the same period last year, but high costs saw earnings per share come in at $8.08, which missed the forecast profits of $8.10. The figure is still up from the $6.76 shareholders earned per share in Q1 2010. The slightly disappointing results are somewhat attributable to a recent hiring surge, which saw 2,000 new employees join the Google ranks in the first quarter. The figures reverberated around the stock market too with Google shares dropping 5 per cent to $54.98 by the close of trading in New York. The earnings call was the first in new CEO Larry Page's second tenure at the head of the company. Page only appeared on the conference call briefly to speak of a "very optimistic" future for the company. Google shares have dropped about 9 per cent since Page took over from Eric Schmidt, who was renowned for meeting and exceeding Wall Street expectations. According to a report in the LA Times, Google shareholders are nervous that Page will continue to increase spending on long-term projects that may not see an immediate return. Page also took a few moments to confirm his recent management reshuffle, where he promoted seven senior managers to directly oversee the company's key divisions, each reporting directly to him.